Throughout our trip I managed to run a few miles in each country usually staying in sight of the ship. There were always local people out doing the same. However, one day we traveled through a scenic, though sparsely populated area, without any port of call. So how can I run when there is no land? 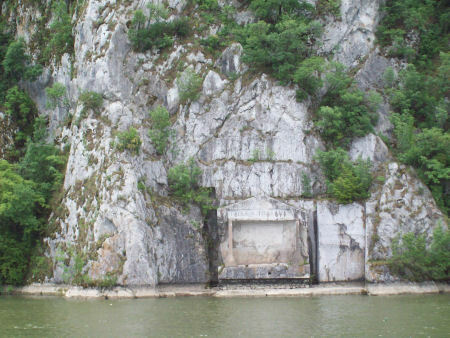 We have traveled various segments of the Danube in the past. Last year we cruised all the way to Amsterdam, but this was our first time this far south. Here the river is very wide until it narrows suddenly at this Gorge. 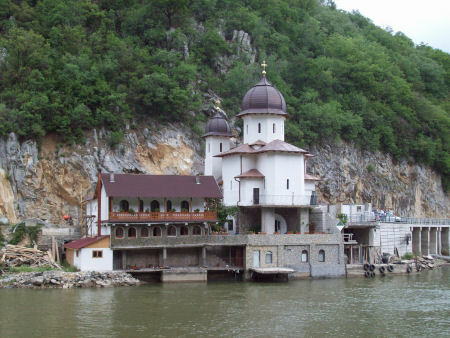 The waters used to be treacherous here until the construction of the “Iron Gates” managed the flow of the river. Now there are 2 massive locks and a dam that control the speed of the water. Here are a few memorable sites on this section of the river. 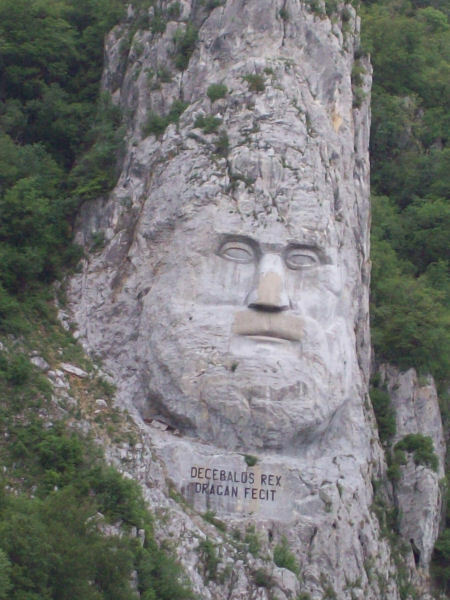 This huge sculpture in the rock cliff memorialized the resistance of the local people to the Roman invasion. 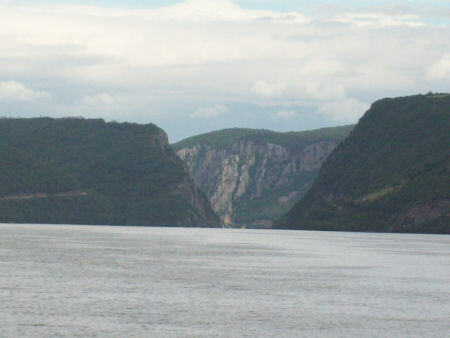 Their king Decebalus committed suicide here after the battle was lost. Centuries later as the Empire fell apart the retreating Roman army destroyed the bridge they built. All that remains is the inscription of Emperor Trajan. Now back to my determination to run every day. There was a fitness room onboard with a very nice treadmill, but I preferred to be outside. I previously paced off the distance around the top deck of the ship so I knew that 8 laps would be exactly 1.1 miles. Perfect! Breakfast was 7-9 so at 8:15 I was ready and happily ran 2.2 miles. I had the deck all to myself except for the crew in the wheelhouse. I was returning downstairs when I met the Captain who asked me not to run because people had been woken up by someone running at 5 am. I assured him that it wasn’t me. I was sound asleep at 5:00, but I wanted to be a good passenger and agreed not to run anymore. He pointed to a track painted on the deck and said it was fine to run there anytime because it wasn’t over any cabins. OK, I decided to check it out. 24 times around equaled one mile – kind of like a hamster in a cage, but we take what we can get.